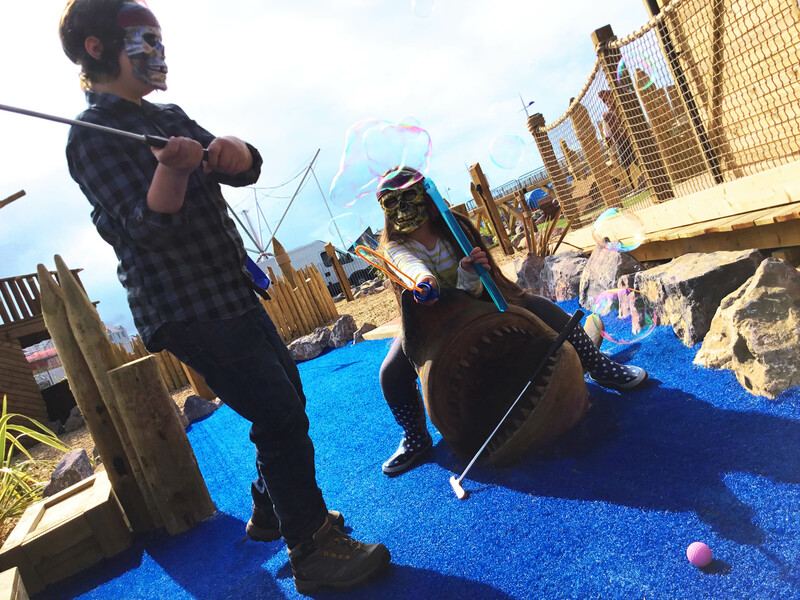 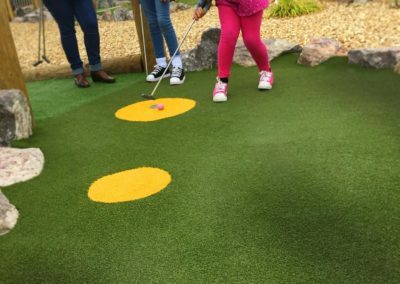 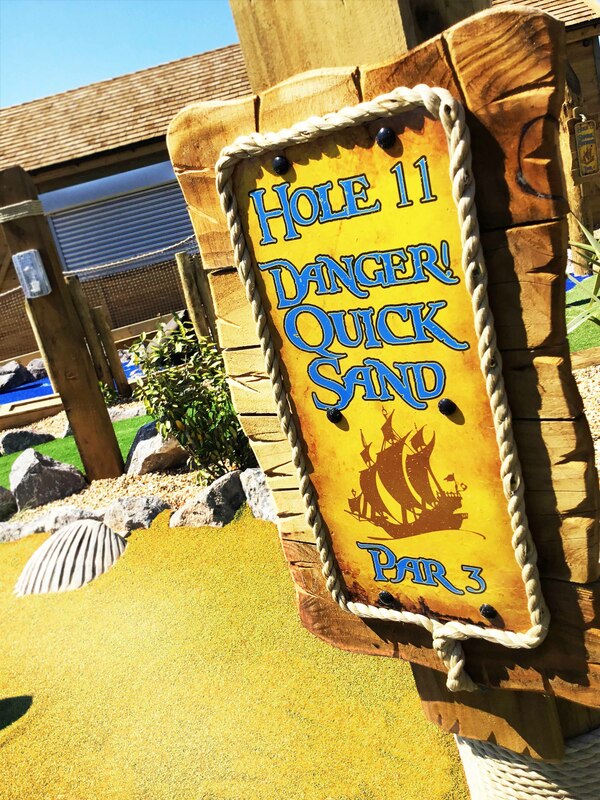 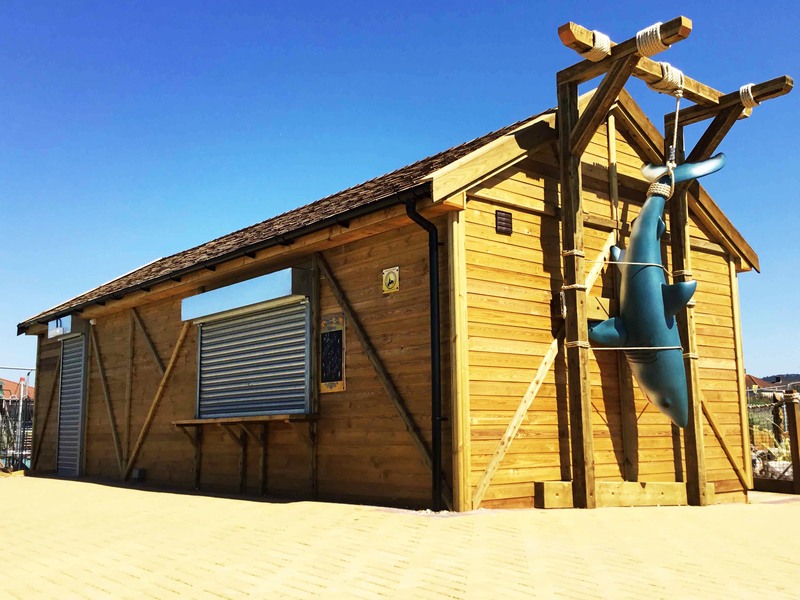 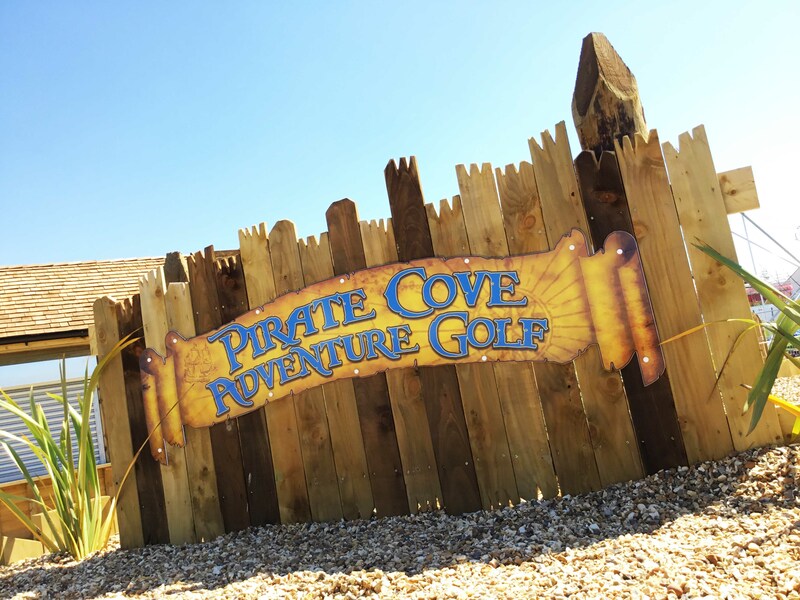 The Natural Play Company were commissioned to build a Pirate Mini Golf course at Aberavon Beach, Port Talbot. 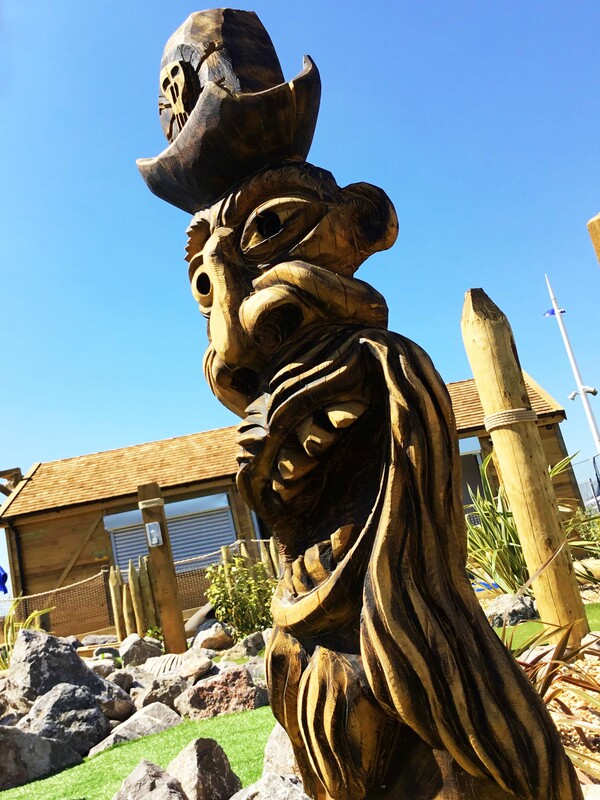 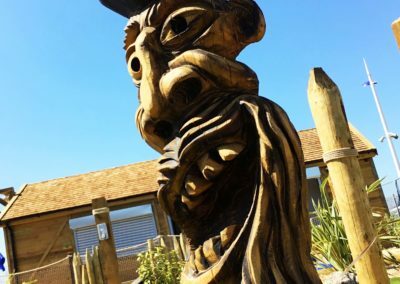 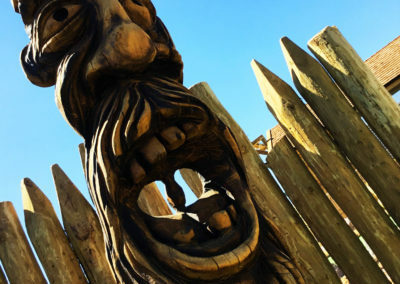 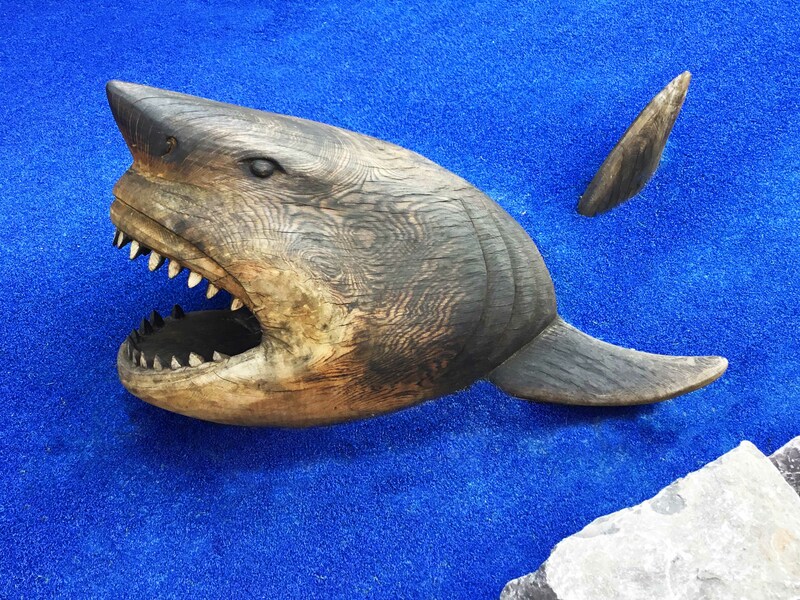 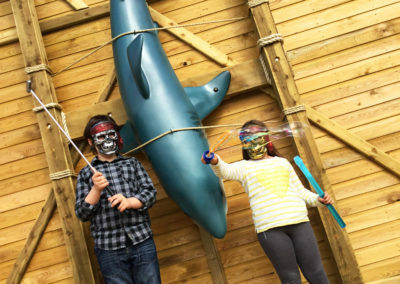 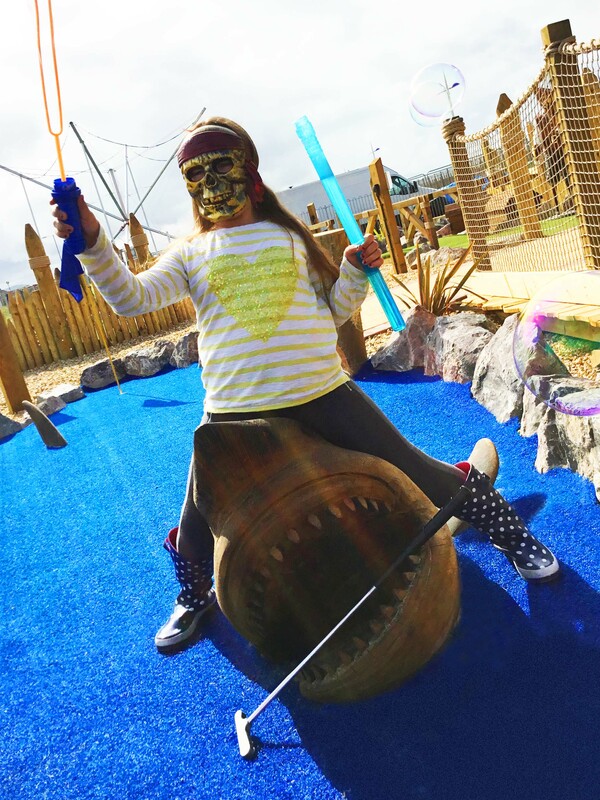 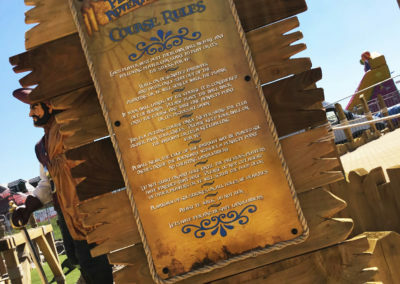 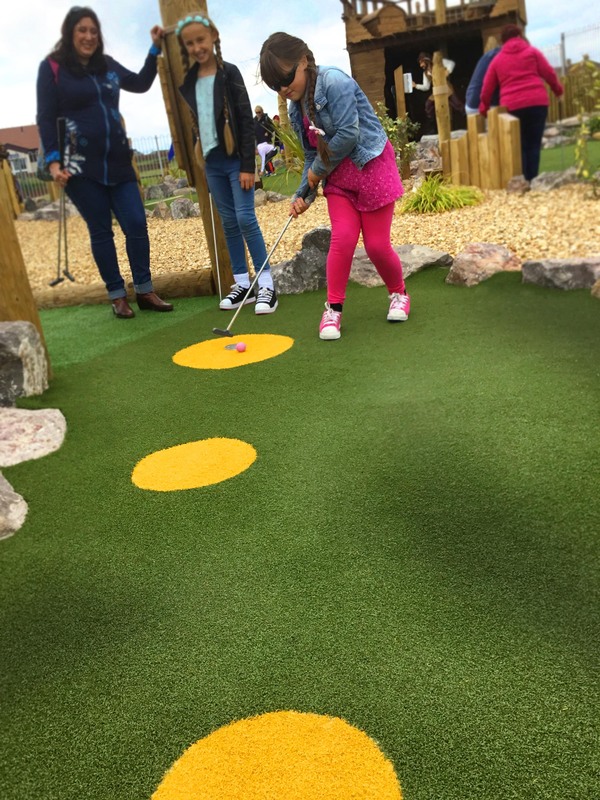 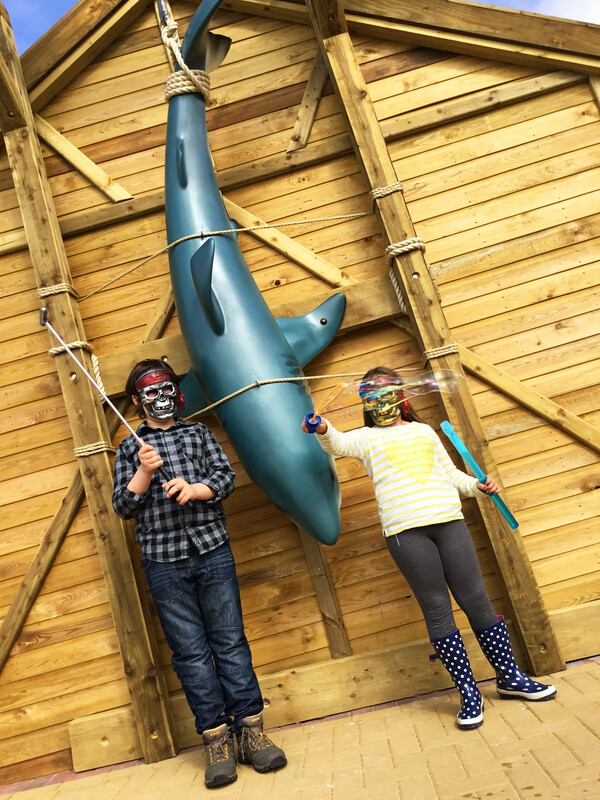 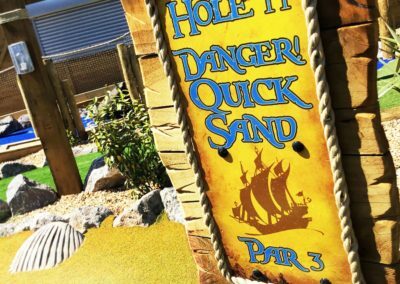 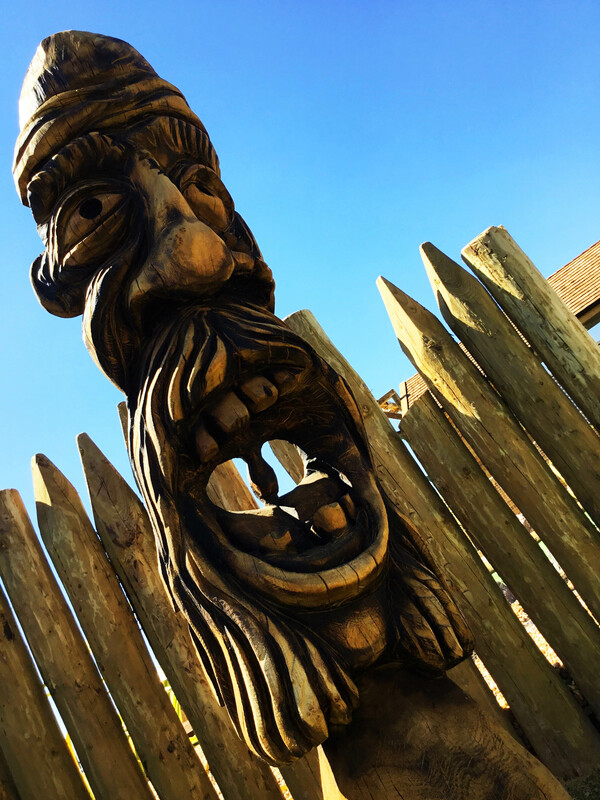 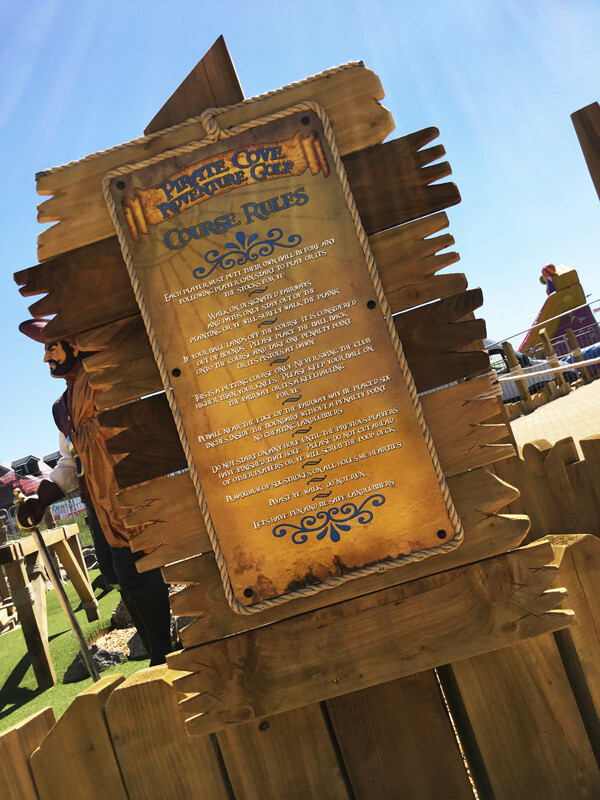 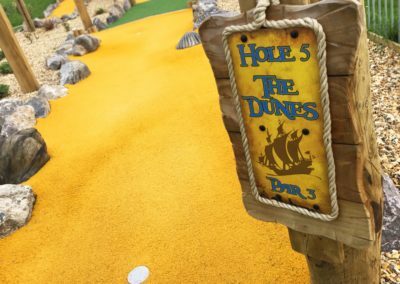 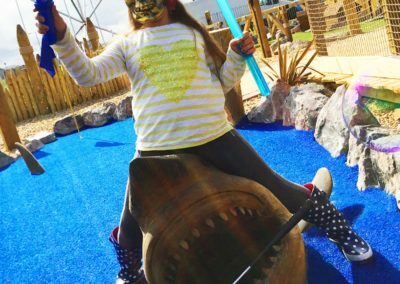 The course was twelve holes of themed mini golf with six feet high timber carvings of pirates, bridges, shipwrecks, dunes, shells, full sign package and life size hand carved shark. 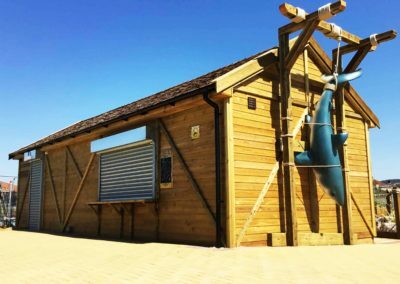 Also built for the project was a fully fitted log cabin with kitchen, store room and disabled toilet. 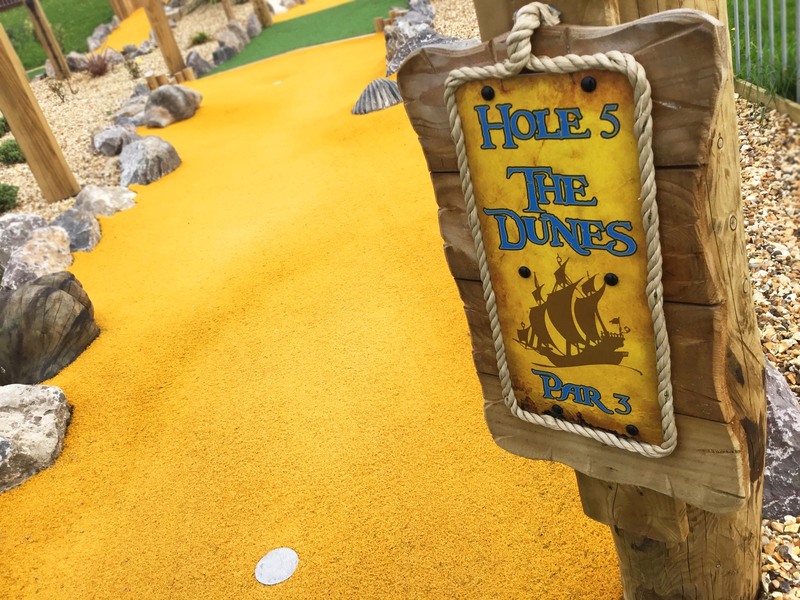 To complete the project NPC built a large sand stone paver seating area with timber benches to overlook the course.